I may enjoy hiking, but taking on Mauna Kea is a different beast altogether. Perhaps it’s a challenge for hikers more extreme than I. Besides there is a perfectly good road that takes you up to the native alpine denizens, so why not take it? The landscape at the very tops of the tallest Hawaiian volcanoes is starkly different that other areas of the islands. As lush as any Hawaiian rain forest is, the mountain summits are just as oppositely barren. It’s a world of rock for the most part, with lots of solar radiation and extreme weather to boot. It’s in this seemingly inhospitable environment some native plants make their home. One plant found above the clouds is familiar to the average hiker. 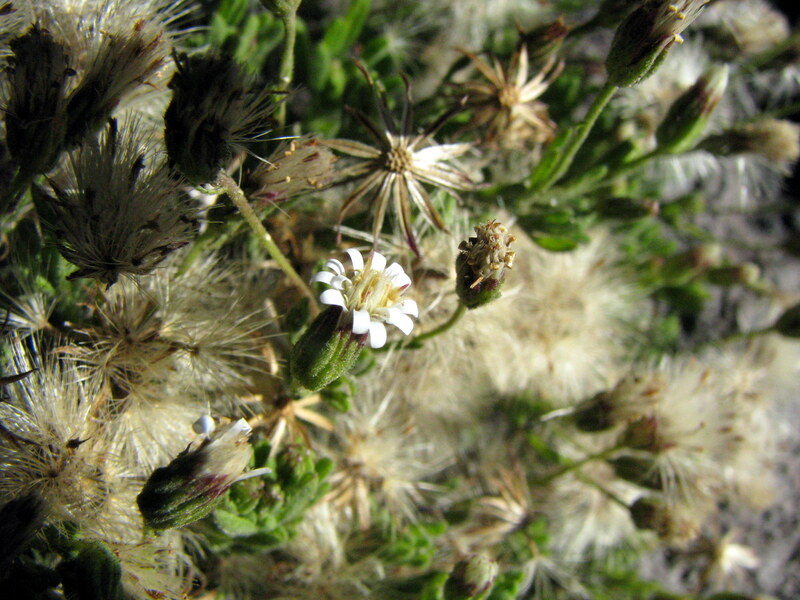 Found on many of the drier trails throughout the islands, Pukiawe (Leptecophylla tameiameiae) is also found in good numbers on the cinder cones at the top of Mauna Kea. These guys had some of the largest Pukiawe fruit I have seen so far. Seeing a common plant in an uncommon environment is pretty cool. 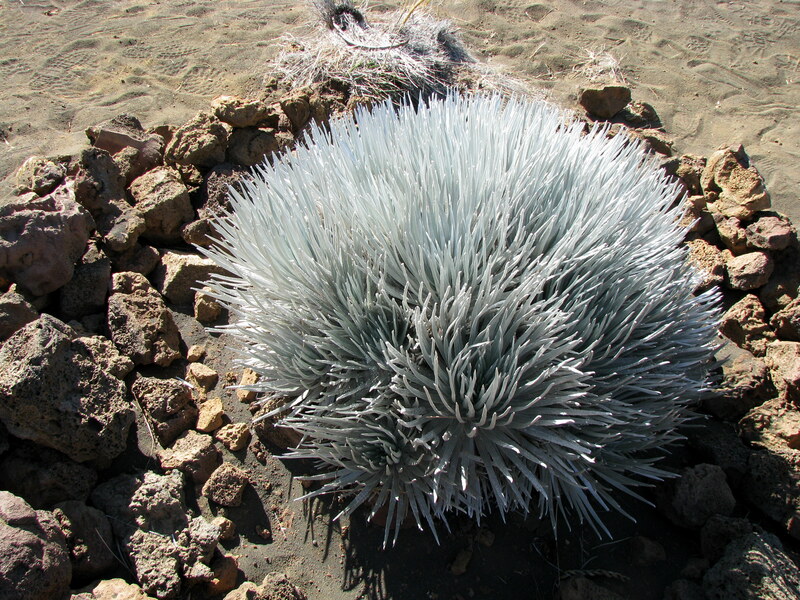 Even cooler are the plants that can only be found in these otherworldly habitats. Tetramolopium humile is one of these plants. 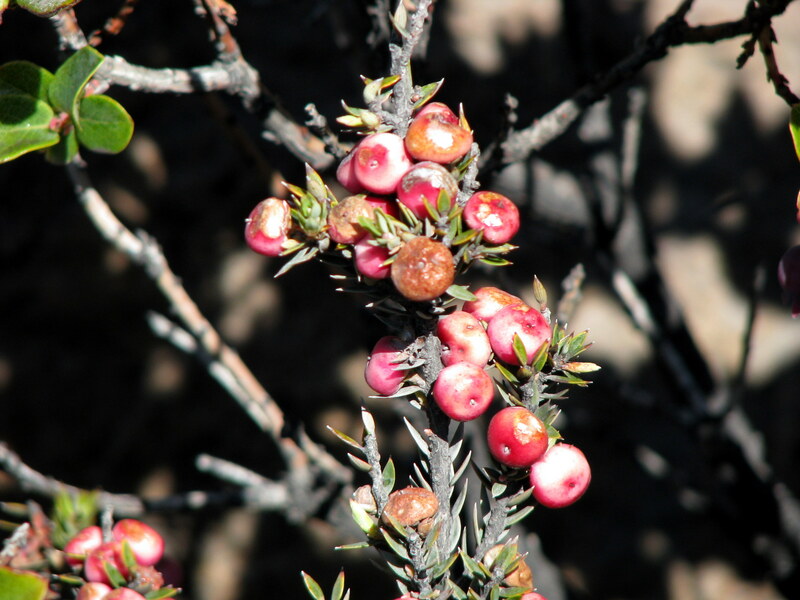 Found only in the high areas of East Maui and the Big Island, they are very common along the Mauna Kea summit road. This striking guy is Nohoanu (Geranium cuneatum). The Hawaiian Geraniums are of particular interest because they are among the woodiest Geraniums in the world. Woodiness is a trend also seen amongst the native amaraths (Charpentiera ssp.) and the Hawaiian Goosefoot (Chenepodium oahuense). Ahh, the sweet smell of the semelparous life. What trip to the Mauna Kea summit would be complete without visiting the silverword exclosure? Still endangered, the Mauna Kea silverwords (Argyroxiphium sandwicense subsp. sandwicense) are being well managed. The exclosure behind the visitor center has a large number outplanted that are looking good. I was getting light-headed just walking around and taking these pictures, let alone if I actually hiked around the top. 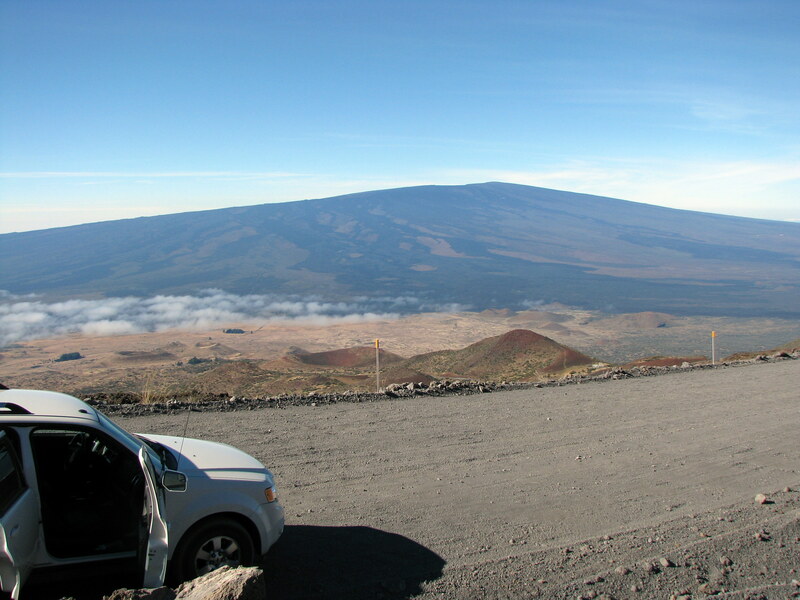 But if you’re up for it, check out the Mauna Kea summit. You might not be well adapted to the local environment, but you’ll see the native plants that have done just that. 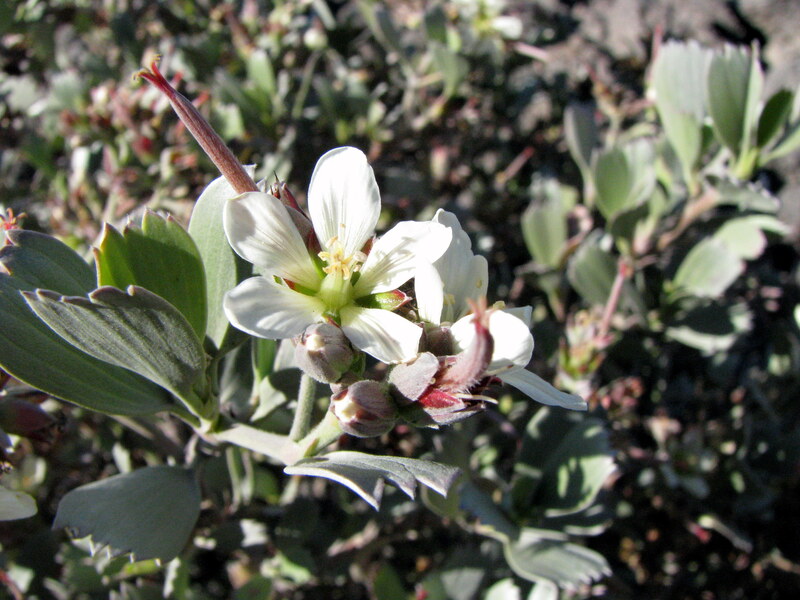 This entry was posted in Botany and tagged Mauna Kea, Native Hawaiian Plants. Bookmark the permalink.